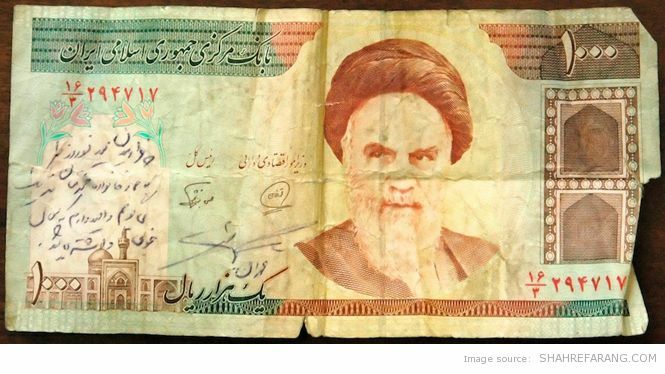 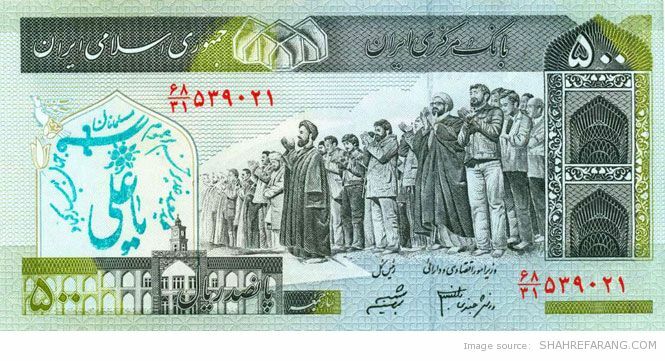 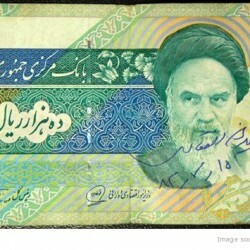 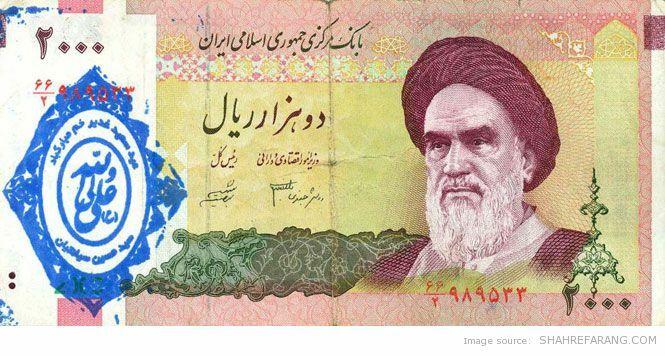 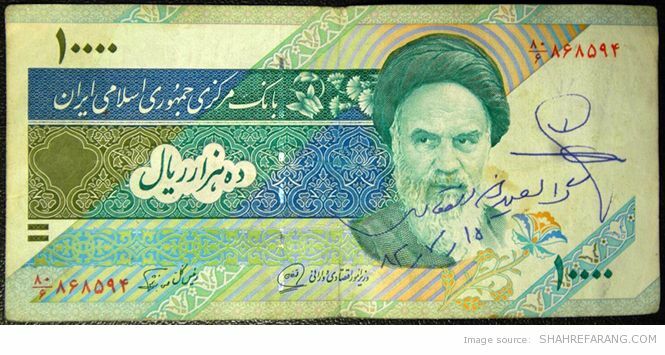 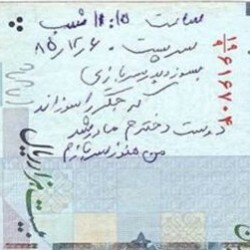 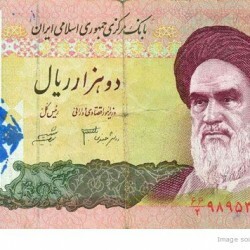 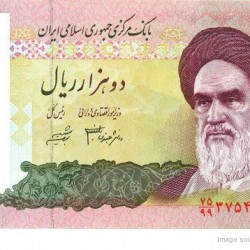 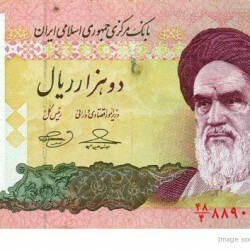 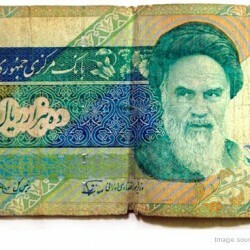 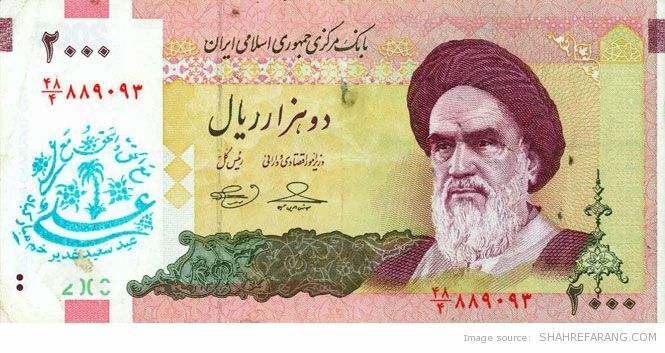 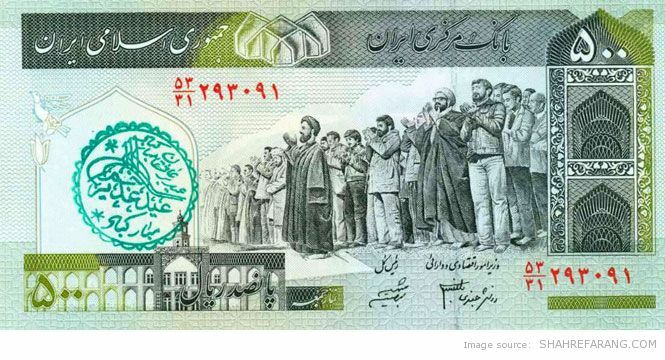 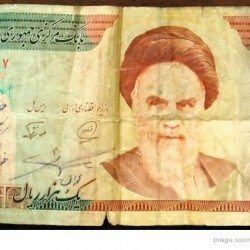 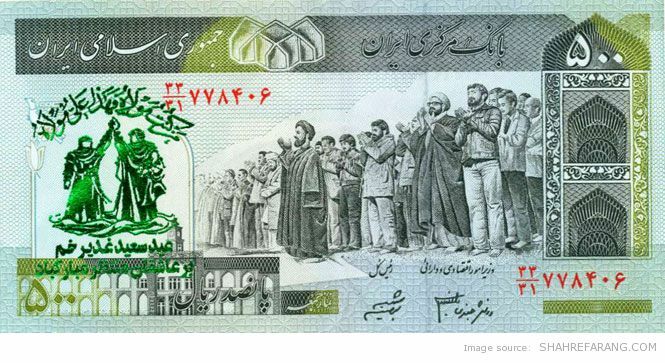 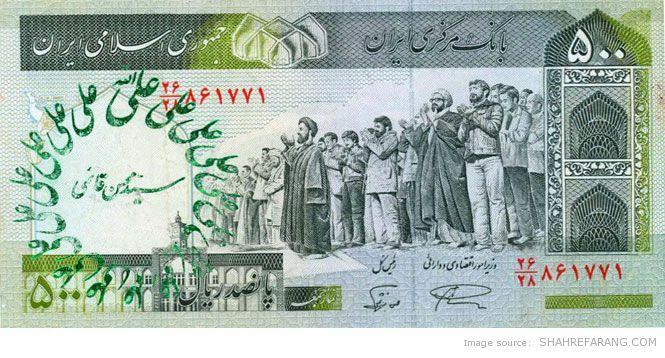 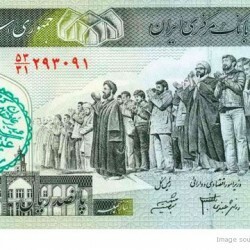 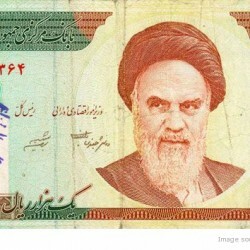 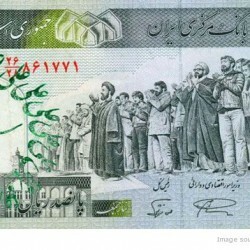 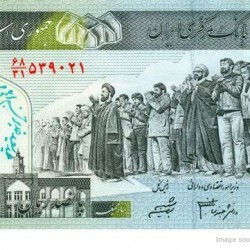 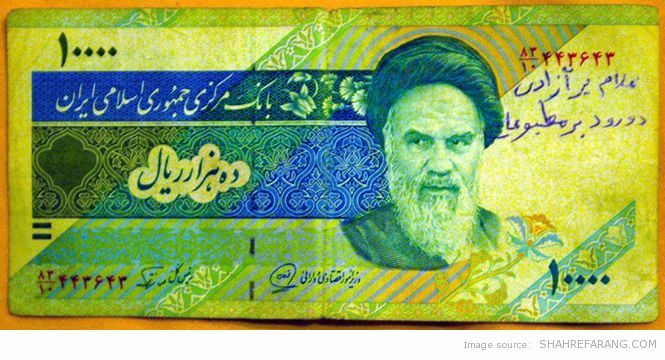 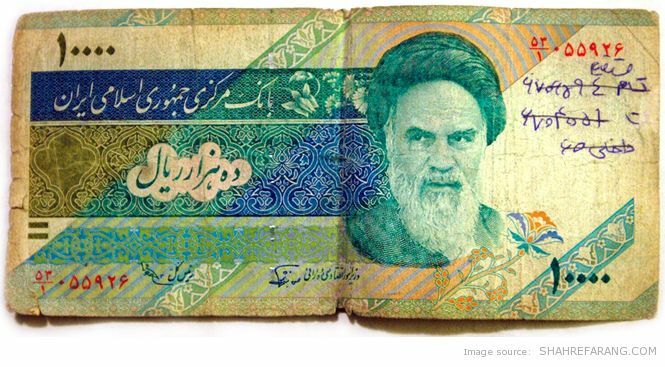 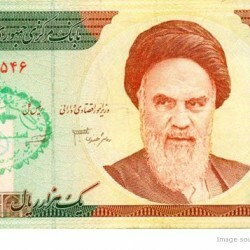 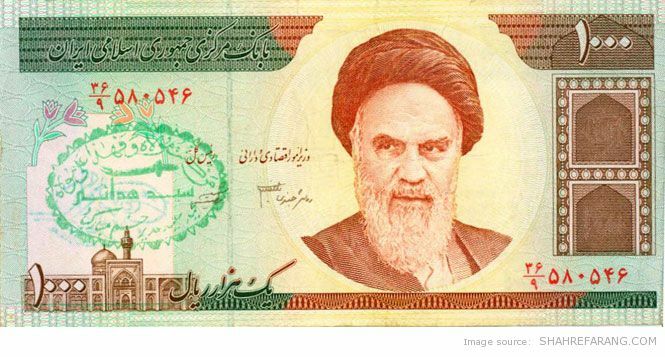 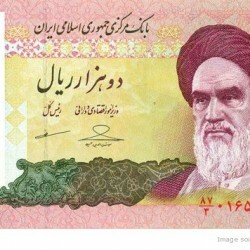 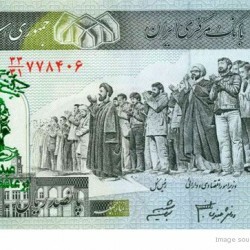 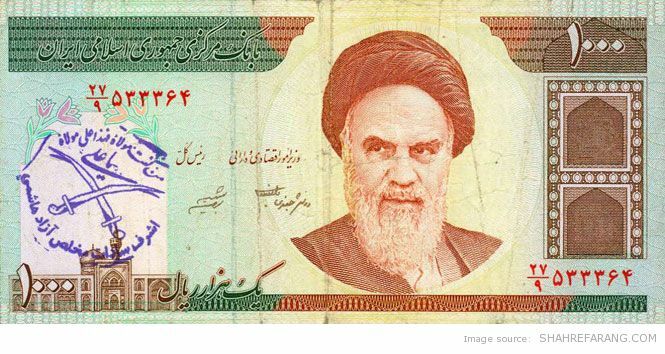 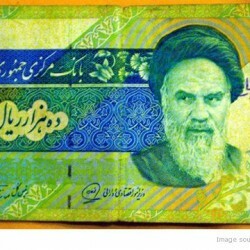 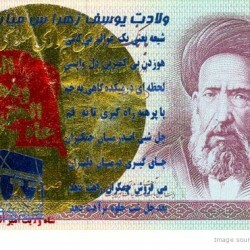 It is becoming very common to see defaced Iranian banknotes. 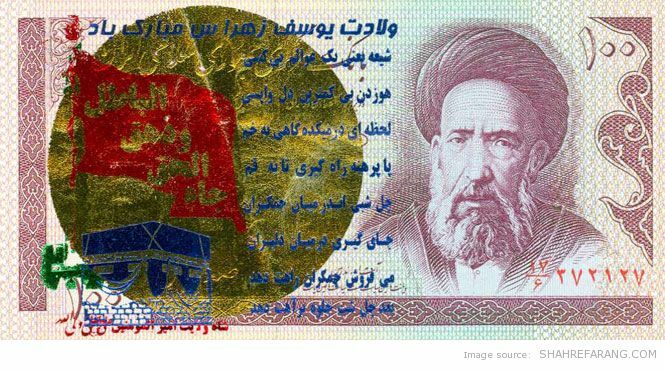 There are so many in circulations with rubber stamps or even printed personal slogans and messages on them. 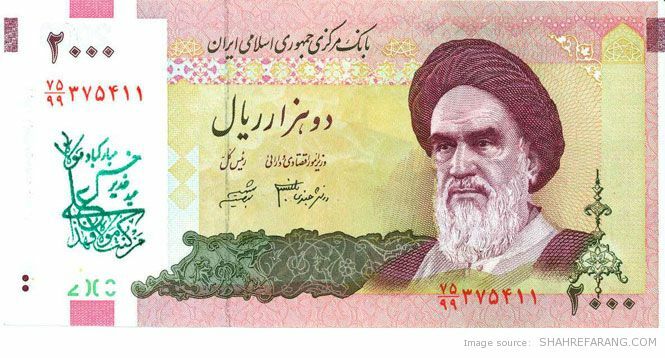 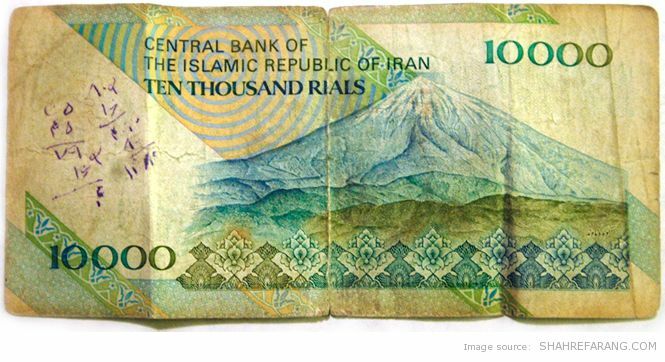 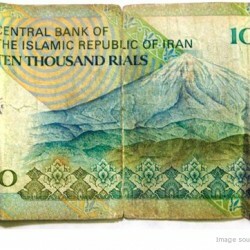 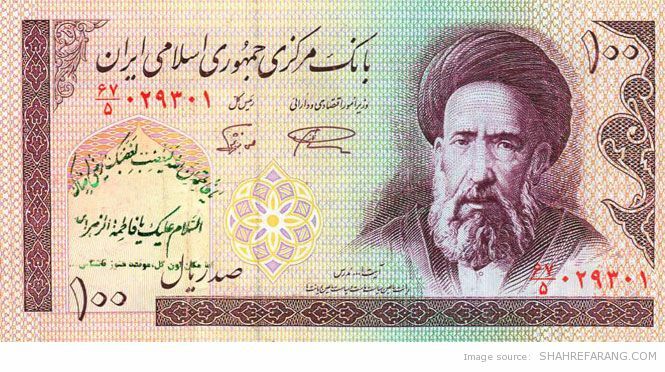 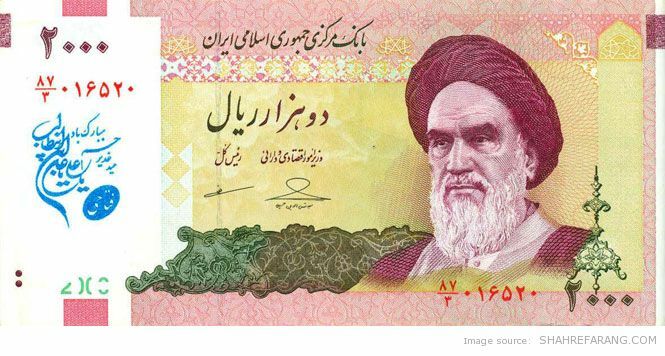 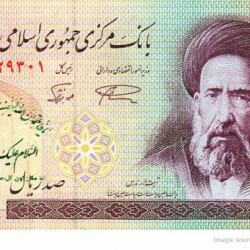 According to Iranian Central Bank, the life span of a banknote is about 5 years, while in other countries it is about 10 years.